As I sit this evening at my computer I am amazed. For five days every newscast and commentator has responded the visit of Pope Francis to America with such joy and positive energy. 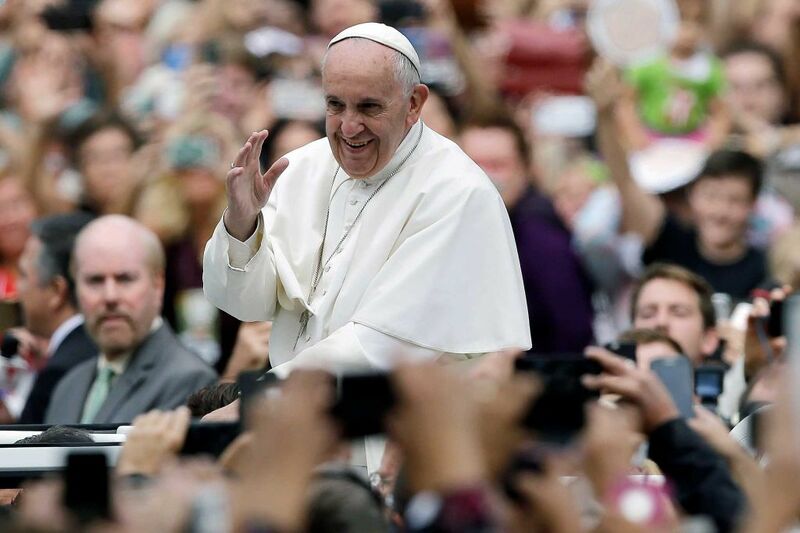 From every perspective, including the most non-religious journalists and broadcasters, people have talked about the pope but in doing so they have talked a great deal about Jesus, the Bible and the joy of the gospel. I have never heard so much public talk about matters of profound truth and faith in my lifetime, except perhaps at the funerals of President Kennedy (1963) and Dr. Martin Luther King, Jr. (1968). We have seen pictures of Pope Francis with prisoners, in a seminary speaking to bishops and students about the two greatest works of a shepherd (prayer and the preaching the gospel), praying at the 9/11 Memorial Museum in New York with representatives of world religions, speaking before the United Nations, speaking before Congress, meeting with the Speaker of the House, meeting with the President and then this evening leaving our shores after being with the Vice-President on the way to the airport in Philadelphia. Since Tuesday evening, when the pope landed in Washington, the 24/7 news cycle has been about Pope Francis for what seems like 85% of the time. Whether you agree with everything that Pope Francis said or did, or for that matter did not do, you cannot help but pause and honestly say, “The entire tone of events and reporting truly changed for the last five days!” One African-American Protestant commentator on CNN, just this afternoon, referred to past biblical and historical revivals and wondered if we might see another revival in America. I am praying for this revival. I have done so for forty-five years. I believe we need it but I also believe it cannot be a sectarian movement for one group of Christians. I retire this evening full of joy and hope. I rest with prayers for our nation and hope for our future. This is not because the pope came here but because an amazing man of faith came and left his mark on our society. Lives will be changed. What comes now is to be seen but seed was sown and good was done in the power of Christ. Let the critics have their time (they will take it) but I rejoice. I thank God for my brother, Jorge Bergoglio. I am persuaded of one central point as the pope returns to Rome tonight. If God mercifully pours out the Holy Spirit in our time it will/must include Catholics as well as Protestants. It will/must include the Orthodox and the Pentecostals, the mainline and the evangelicals. It will go beyond our divisions and bring us to deep and growing unity in Christ. And this revival will allow Christians to converse with people of all faiths without rancor and condemnation but in Christ’s love. After all, the world will know that we are Christians, and that God is love, when we love one another (John 13:34-35, 15:12, 17; 17:21-23). Amazing time we live in. I’m not positive about this but is also appears to me that John Boehner who was already thinking about stepping down after hearing the Pope and being with him, was profoundly moved and the next day he got up and resigned. If that is true, it goes to show what being confronted by a truly Godly person can do to others. Geoff Mackey liked this on Facebook. Jennifer Ould liked this on Facebook.